Five stainless steel set screws per package. 1086B slotted set screws are used on grips 1086 and 3132. 1086C slotted set screws are used on grip 1086A. 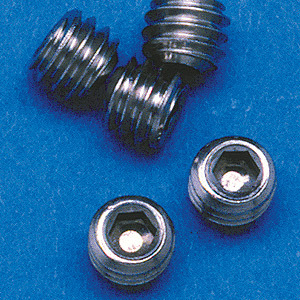 1086E socket set screws are used on grips 1086D and 1086DB.